When your tenancy agreement comes to an end and you are about to vacate the property you have been dwelling, it is your responsibility to ensure the property is in an ideal condition for future tenants or occupants. 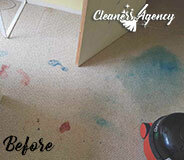 So in such situation, your best option is to turn to a professional cleaning company to arrange you an assisting hand. 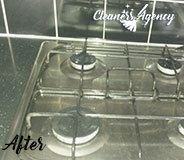 We specialise in the end of tenancy cleaning and we are waiting to help you already. Our company is based in Walthamstow and we have been around for a considerable amount of years already. You can count on us to clean up all the waste, remove all dust, kill all bad odours from the property to get it ready and cosy for future tenants. Our help will help you leave and move out on good terms with your landlord and gain a high reputation as a tenant. Plus, you will keep your security deposit. Doesn’t it sound tempting? If you want to present yourself as the best tenant in Walthamstow and make a good impression by leaving behind a spotless and disinfected home, then turning to our company and booking our end of tenancy cleaning services will prove to be worth. While dealing with the rest of the responsibilities that are following you all around, act smart and take advantage of our service. Our professionals will clean up the property instead of you, leaving it absolutely spotless and sanitised. Our end of tenancy cleaning service will no doubt save you a lot of time and energy. Compared to getting the cleaning done all by yourself, our professional cleaners can execute the final cleaning a lot more quickly and efficiently. They are specially trained and experienced in the end of tenancy cleaning and will handle the chores in an quick and effective way. We posses all that is necessary to deliver you a service of a great value. With us, you will receive the assistance of hard working and equipped workforce to do all the cleaning chores in an immaculate way. 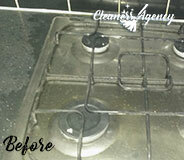 To find out more about our end of tenancy cleaning, available in Walthamstow, contact us. Employ Cleaners Agency London for a thorough cleansing of your property, which comes with many benefits and good end-cleaning results. The key to the absolute removal of stains and dirt is in our technicians’ hands, and they use it to provide our customers with the results they want. We carry out a detailed cleaning that you design, with our customized cleaning plan option, you are free to make out the decontaminated areas and how you want us to deal with them. After that you can count on us to make the best of your cleaning case by sparkling up the property with natural cleaners, which are guaranteed to make the place seem unrecognizable. Each area of your home will experience a thorough inspection and then treated with the most effective equipment on the market to remove and terminate the stains and dirt properly. We make your home our utmost priority and you can expect us to succeed, like we have already done thousands of times. Walthamstow commonly welcomes new residents, and old ones often change their rented properties. Whenever a person decides to move out, whoever they are, the chances are, they have a million things to do, before they can calmly say “I’m done with everything”. Often they don’t take into account that the moving-out cleaning procedures must be done attentively if they want to receive the full refund of their deposit money! We can guarantee you that! 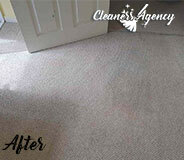 Simply because the results of our end of tenancy cleaning are more than impressive and visibly long-lasting! Trust the attentive approaches of all of our cleaning experts, who will give their best to give you with the perfect end results of the end of tenancy cleaning service! Wherever in the area of Walthamstow your rented property is, you can always rely on our end of tenancy cleaning and book it any day of the week! You can even book us in the last minute – we will still be able to clean the whole place thoroughly in no time! Trust our professional end of tenancy cleaning service and we will prove you that we are the best in Walthamstow!